What to do in a tournament? When you arrive, you should check in with coach Mike so he knows who has come. Then, after the registration period, you check the big computer board on the wall to find your match partner, room number, and board number that you will be playing on. When you report to your assigned board to meet your match partner, you always shake hands. 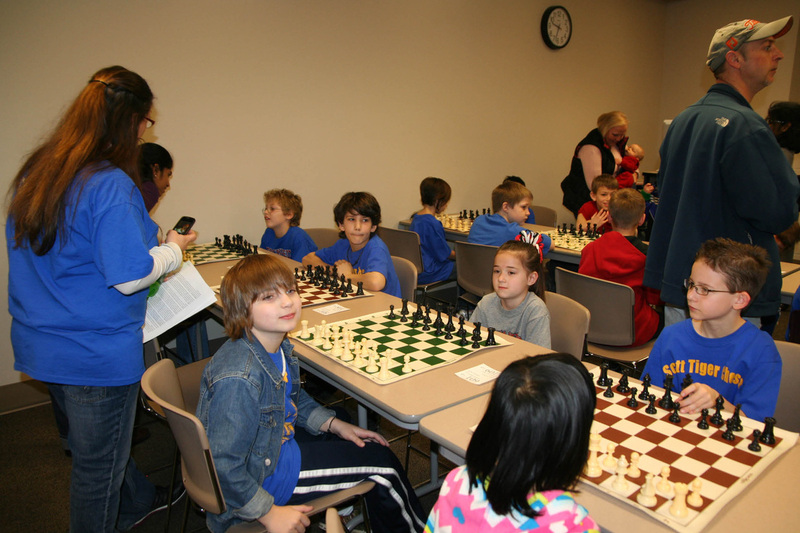 You're supposed to be as quiet as a rook when you're playing in a tournament, and when you finish a game, you shake hands again, and go to the registration table to record the outcome of your game. It has to be a touch-move game (so every piece you touch, you play--no changing your mind after you have touched a piece on the board). 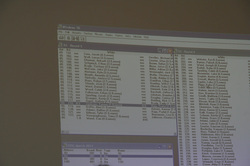 Match partners are chosen in a random computerized draw.